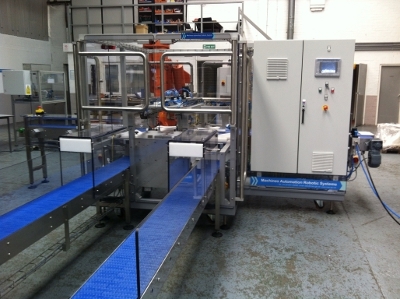 This lidding machine has been designed and manufactured to automate the process of placing lids on biscuit, confectionary and other foodstuff containers. It is suitable for plastic snap lock and metal push fit containers and lids. Operator tool change allows it to be used for different containers and lids. V2 has several advantages compared to V1. V2 is a twin-track machine, has a 10 position star wheel, is faster, has increased lid capacity and continuous lid feed. Click here to play a video ( 9Mb .wmv ) of this lidding machine in action.